True to their name, MegaBots, Inc. builds huge piloted mechs, engineered to survive in battle against other fighting robots. 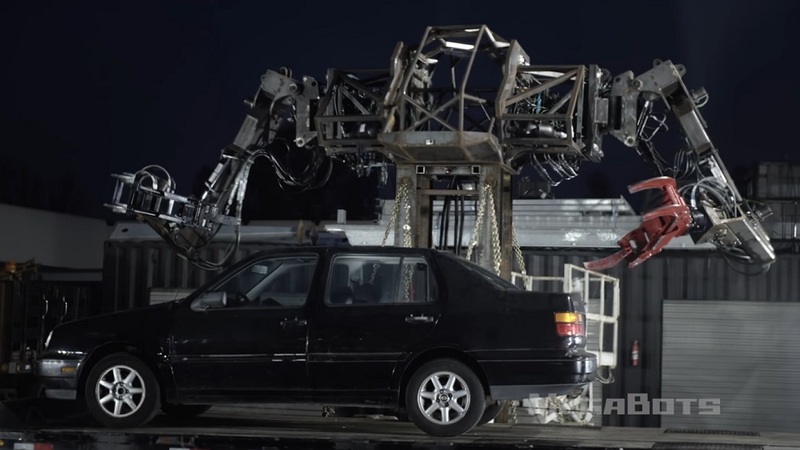 Using cutting-edge robotics technology, the team at MegaBots created the Mk. II MegaBot, a 15-foot tall, 12,000lb robot capable of hurling 3lb projectiles at speeds of over 130 MPH. Upon completion of the Mk. II in the summer of 2015, MegaBots challenged the only other known giant piloted robot in the world, a 9,000lb robot known as KURATAS, created by Suidobashi Heavy Industries, to a duel. They're currently developing and building the Mk. III to face off against KURATAS. Designing a robot for combat means that every component has be engineered for durability. A failure in any system could lead to swift defeat, so the MegaBots team needed hardware that could stand up to the rigors of combat. 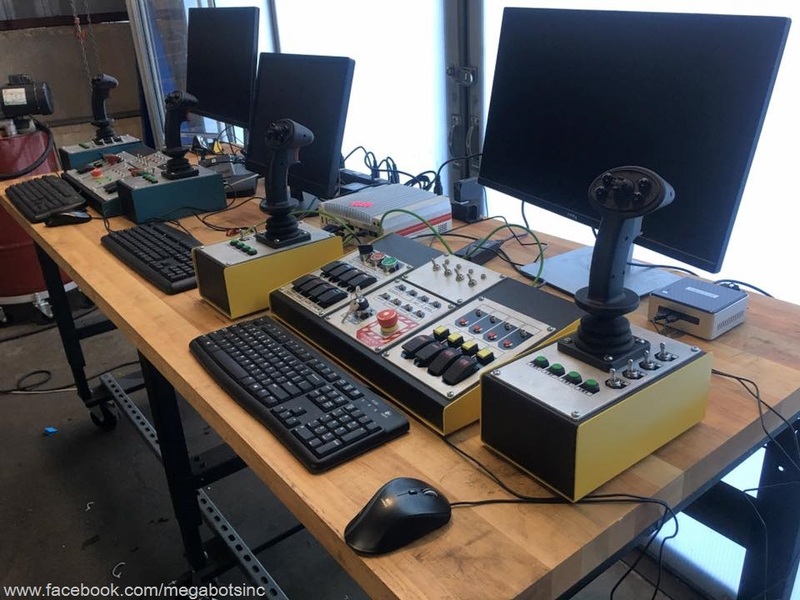 "Logic Supply computers are used primarily for video processing, video display, and for keeping tabs on general robot status," says MegaBots Electrical Engineer Miles Pekala. "Cameras from the Mk. III are routed to the computer and overlaid with targeting reticles and other information pertinent to the operation of the arms and any weapons attached to them." The arms of the Mk. III, which are capable of easily lifting a car, have been designed to allow various weapons to be interchanged as needed, from drills and saws to giant knives. The control and monitoring systems have to be easily programmable and versatile enough to accomplish a wide range of tasks and movements, as well as easily interface with the robots innumerable other vital systems. To accommodate their complex video processing needs, and to ensure the utmost reliability, Pekala and the MegaBots team worked with Logic Supply's Solution Specialists to select and configure the Nuvo-5000 Rugged Fanless PC as the primary video processing unit for the Mk. III. Featuring an Intel i7-6700TE processor, the system has the computing power required to handle the bot's multiple video feeds. To ensure they could connect all the cameras and peripherals the Mk. III would need, the Nuvo-5000 is equipped with 6 LAN and 8 USB ports. Contained in a steel ventless chassis with an aluminum extrusion external heatsink, the system is shock and vibration resistant, has no moving parts and is rated for operation in temperatures as low as -25°C and as high as 70°C. For more about the MegaBots project and the development of the Mk. III bot, read our full Q&A with MegaBots Co-Founder Matt Oehrlein over on The I/O Hub.